I wanted to shine a spotlight on one of our local development studios this week and share some of their story. Pig Out Productions has released the first of their many games to the Windows 8 store. 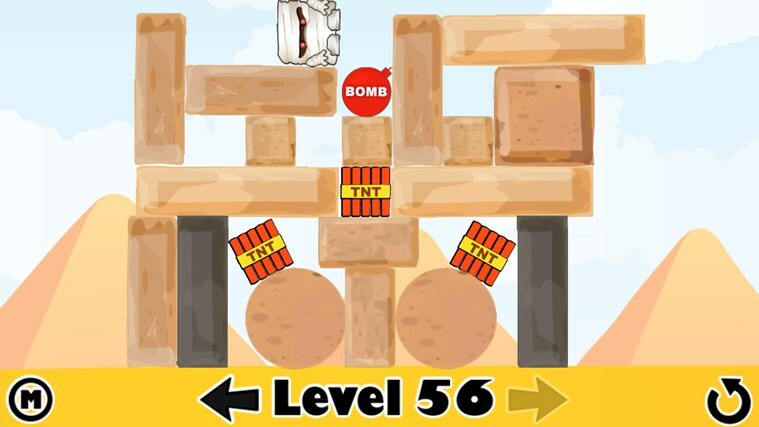 I Want My Mummy is a 70 levels of rock breaking, TNT exploding physics puzzle fun. You tap on rocks to destroy them and try to get your mummy on the black landing platforms. Along the way, exploding bombs will launch your mummy through the air, knocking over walls and triggering more explosives and mayhem. You'll also have to deal with rocks that defy the laws of gravity and float away. Pig Out Productions is a game studio based in Rolla, Missouri founded by William Garrett. Not your typical software developer, William’s preferred tools of choice are GameSalad and Photoshop. He’s completely self taught and specializes in casual, family oriented games with broad appeal. He works with a local artists and musicians to develop and refine his game concepts. As each game crystalizes, his children become his test audience. If sees them picking them up and playing over and over again, he knows has hit on his hands. Over the last few years, Pig Out Productions has published a solid collection of great games for the iOS and Android platforms. William and his talented team are working feverishly to bring them to Windows 8 for us to enjoy. Look for them in the Windows 8 store in the coming weeks.